The minor league affiliates for the San Diego Padres were 3-6 on Wednesday. 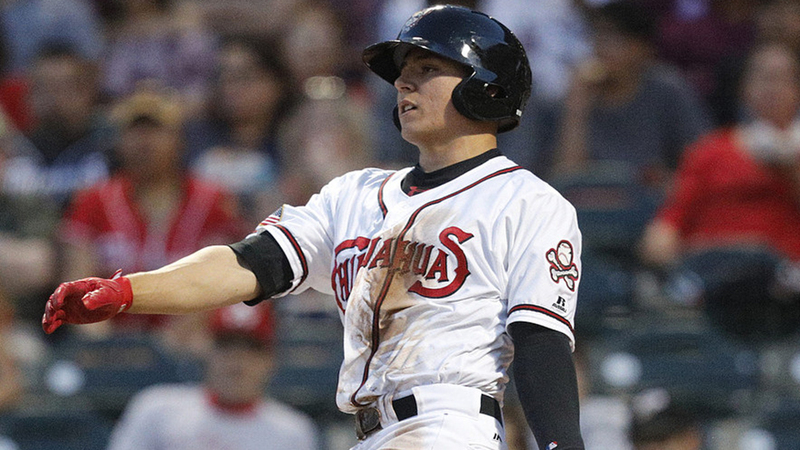 Luis Urias and Francisco Mejia continue to scream from Triple-A that they are ready for the majors, as both players collected two hits and Mejia swatted his fourth home run as El Paso won their eighth straight game. Logan Allen also recovered from a two-run first inning to pitch six innings, allowing three total hits and walking two and striking out seven. 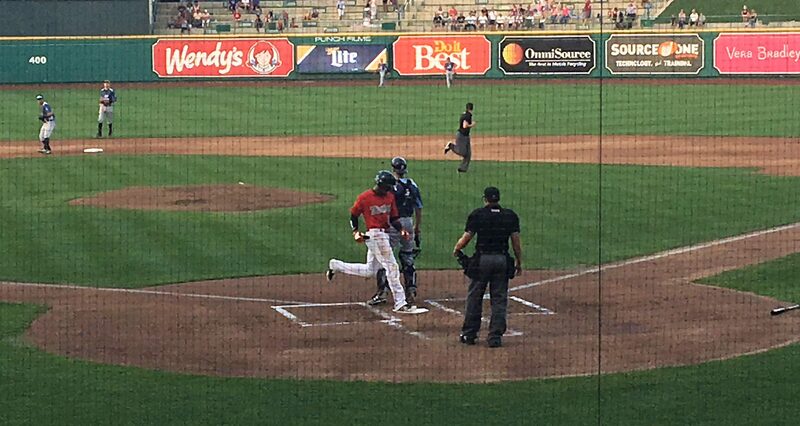 Ty France also collected a solo home run in the third inning while Javy Guerra blasted a two-run shot in the second inning for his thirteenth home run of the year. Guerra had four total RBI on the day. Despite putting up runs in the eighth and ninth inning, the Missions couldn’t come back against the RoughRiders and lost their third game in a row. The losing pitcher was Chris Paddack, who pitched five innings while allowing three runs on eight hits and walking one batter while striking out six. Buddy Reed got both RBI in the eighth and ninth inning, doubling Ruddy Giron in the eighth inning and driving home Webster Rivas in the ninth inning with an RBI single. Andres Munoz pitched a perfect ninth, striking out the side while not throwing a fastball under 100 MPH. The Storm won their third game of the season on the backs of a strong rehab start from Bryan Mitchell and a bases-clearing double by Chris Baker. Mitchell is looking to make his way back to the major league roster with a successful rehab stint and he took a step forward with his start today, pitching six innings of two-run ball and striking out eight batters while walking two. The Storm got all of their runs in the third inning, starting with back-to-back RBI singles from Edward Olivares and Luis Torrens. 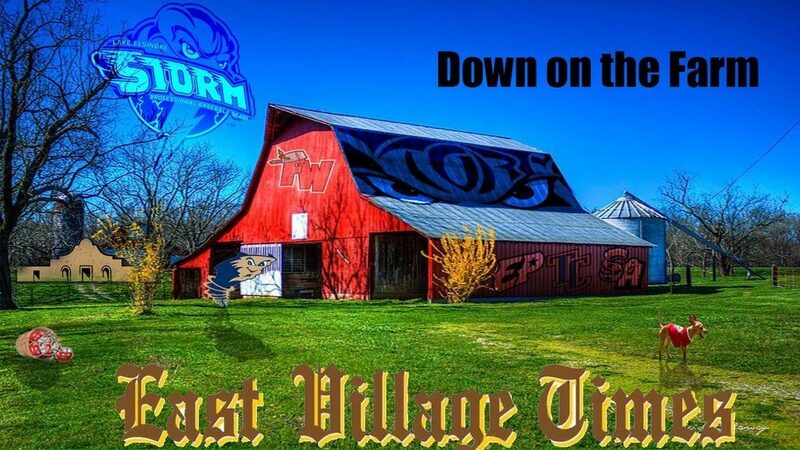 After a walk to Brad Zunica, Chris Baker cashed in with the bases loaded to bring home all three batters, and the Storm would ride the rally all the way to victory. Despite three errors committed by Great Lakes, the TinCaps couldn’t turn these errors into runs and absorbed their fourth straight loss. The only run that came across was on a throwing error committed by Great Lakes second baseman Devin Mann, as the error allowed Owen Miller to score the one and only run for Fort Wayne. Unfortunately for the TinCaps, the Loons stormed back in the ninth inning, loading the bases against Dylan Coleman and proceeding to smack a two-run single off of Fred Schlichtolz to walk-off as winners. Tom Cosgrove‘s fine start ended with him receiving a no-decision, despite throwing six shutout innings and striking out seven. The Dust Devils exploded for 15 runs on 10 hits and four batters had three RBI each. One such batter was Xavier Edwards, who had a two-run double in the eighth inning, a RBI single in the second, and two stolen bases. Blake Hunt, Tre Carter, and Michael Curry all had three RBI to their names while Justin Paulsen, Tucupita Marcano, and Luis Asuncion each had a single RBI in the game. Sam Keating pitched four innings, allowing two runs on four hits while walking five and striking out three. 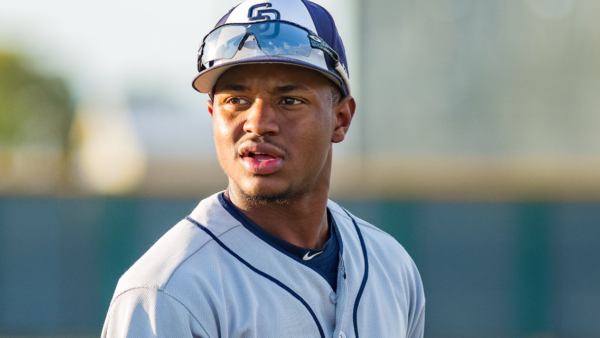 The Padres 1 scrapped together a measly two hits and couldn’t keep up with the AZL Rangers at all. The pitching was burned after a scoreless inning by Kyle Lloyd, as both Edwuin Bencomo and Nick Thwaits surrendered four runs in total in four innings pitched (Bencomo failed to record even a single out in his outing). The only two hits the Padres recorded were a single by Jawuan Harris and a double by Luis Roman. The Padres collected four hits this time instead of two, but three errors led to an unearned run scoring and the Padres losing a close game. Efrain Contreras pitched five innings, but the one run he allowed was enough to cost the team the game. All four Padres hits were singles and the team went 0-for-2 with RISP. Luis Almanzar‘s throwing error in the fifth is what allowed the lone run to score. The AZL Padres 2, much like their other counterpart, couldn’t get any offense going and collected only four hits on the day. Four errors led to six runs (three earned), and five of those runs were charged to Joey Cantillo, who allowed three earned runs on three hits while walking two and striking out six. All four Padres hits were singles and Jordy Barley collected two of those hits. 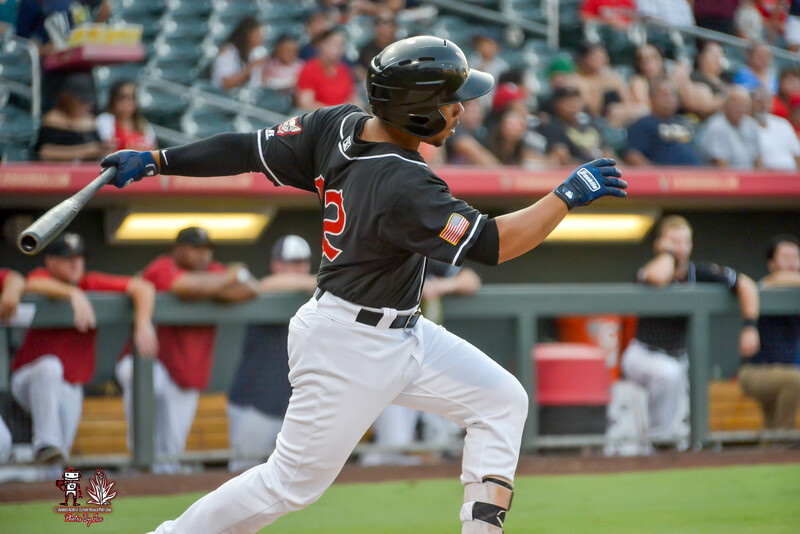 The Padres had an early lead, but dropped it and the game after the DSL D’Backs put up four runs in the seventh inning. Carlos Guarate pitched four innings in his start, striking out one and not allowing a run. Reliever Mauricio Rodriguez, despite walking four batters, turned in a clean inning and a third before handing the ball off to Cesar Gonzales. Gonzales would be the one to allow the four-run rally in the seventh as his ERA jumped to 7.20 on the season. Bryan Torres drove in the only Padres run in the fifth inning with a sacrifice fly that scored Carlos Batista. Previous What are the Padres’ Plans for Christian Villanueva?